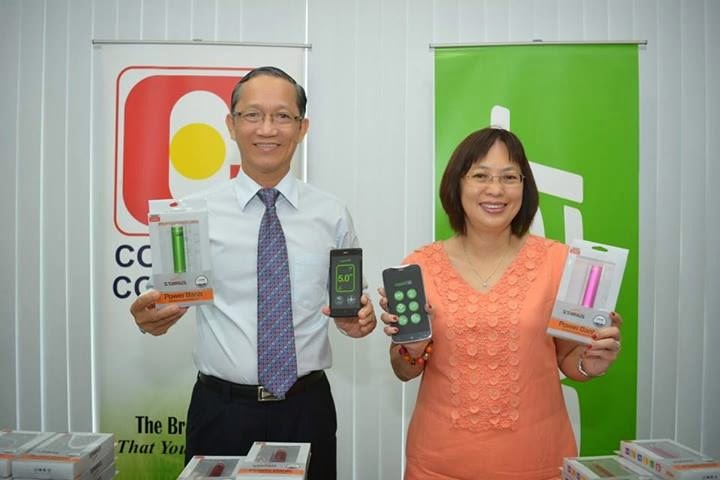 TIGERLIM.COM: ACER SMART-PHONE Special Deal for SENIOR CITIZENS ! ACER SMART-PHONE Special Deal for SENIOR CITIZENS ! Age should not be a hindrance to using the latest and best IT products, this is why Concepts Computers will be doing a special deal for every purchase of an ACER smart-phone, be it the most affordable to the highest end ones, by those over the age of 50 years old entitles them to a special gift, a STARIUS 2,600mAH power-bank. First on offer is ACER Liquid Z3s, available for $158, is an affordable, dual core 1Ghz Android smart-phone. It has Acer's very own user profile UI which provides a way to easily change between different profile modes; from basic mode for entry-level users, senior mode for mom and dad, keypad mode for quick dialing, and classic mode that puts categorized apps at your fingertips. The ACER Liquid Z3s is perfect as a first smart-phone for senior citizens and young children alike ! Next on offer is the ACER Liquid Z5, available for $$238 (512MB) or $288 (1GB), has the ideal size to reap all the great benefits of a smart-phone. Pictures and videos are bright and clear on its large 5" display. With the AcerRAPID button on the ACER Liquid Z5, you can start your day with just a single press even if your screen is off. AcerRAPID can quickly launch the camera so you'll never miss a moment and it can also launch your favorite applications from the home screen and answer calls. The ACER Liquid Z5 sports a front-facing high-performance speaker that has clear audio equipped with DTS Sound for smart-phones. It can play soundtracks beautifully with wide stereo-width and vocal enhancements so everything sounds its best. The ACER Liquid Z5 is perfect for those looking to carry a mid-range highly capable smart-phone. Another model on offer is the ACER Liquid E2, available for $328, has an elegant curved design with a large 4.5" HD screen and with a camera that has zero shutter delay, so you'll catch everything the moment you press the button. With speedy continuous shooting, you can take up to 8 pictures per second just by holding down the camera key. Dual metal speakers with a radiant mesh pattern blast awesome stereo sound. DTS Sound for smart-phones plays soundtracks beautifully and has volume maximisation, wide stereo width enhancement and more, so all your audio sounds its best. The ACER Liquid E2 is a worthwhile entertainment smart-phone for those on-the-go ! Next we have the ACER Liquid S1, available for $498, its large 5.7" HD display features a zero-air-gap design and the curved front and side case with rounded edges looks and feels great in hand while on-the-go. It comes with all the tools of the office in your phone with Acer Docs and Acer Remote Files applications, so that spur-of-the-moment presentations can go smoothly. ACER's Float Apps lets you make four apps "float" on top of your current task at any time so you can multitask efficiently, and with Float Caller, calls pop up as mini windows without interrupting the app you're using. The ACER Liquid S1 is the perfect Business Smart-Phone for those who needs their office apps on-the-go ! Last on offer is the ACER Liquid S2, available for $848, has a 6" Full HD display with IPS technology and made with a curved Gorilla Glass 3 surface provides a smooth, edgeless screen plus tough protection. It sports Zero Air Gap technology making images look great from all angles, even under sunlight. The ACER Liquid S2 sports a 13 MP, f/2.2 camera that captures breathtaking 27 MP panoramic images, and able to record video in 4K Ultra HD2 with four times higher resolution than Full HD. Its built-in Dolby Digital Plus also helps to deliver great sound over the two stereo speakers, and you can experience 5.1-channel virtual surround sound on your headphones, the intuitive graphical tuner will also let you adjust the sound to your preference for pitch perfect sound quality. All these great tech makes the ACER Liquid Z5 a great multimedia device. 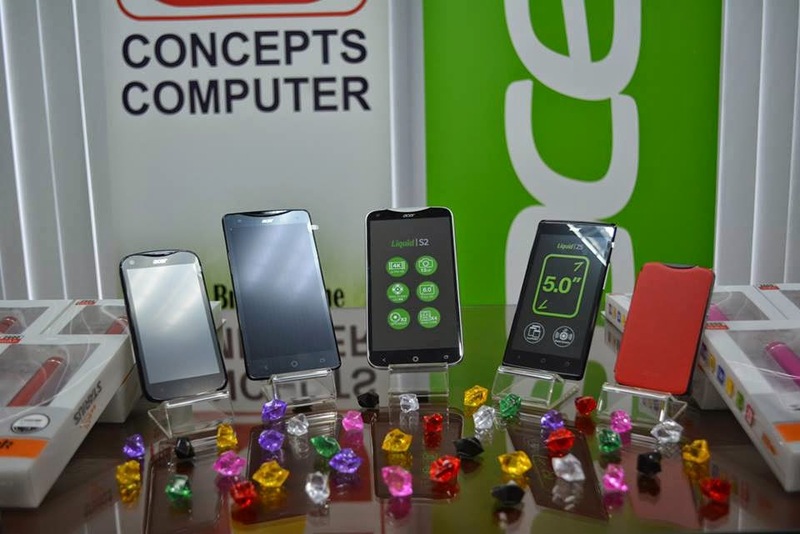 For more information on the wide-selection and full-range of ACER Smart-Phones or STARIUS Power-Banks available at Concepts Computer, please visit your nearest Concepts Computer showroom or call 2233551/2233552. You can also get more information at the Indoor Stadium in Berakas, where Concepts Computer is involved in the Charity Expo Amal Dana DPMM 2014 from 9th April til 13th April open from 10am until 10pm.